This costume was worn myself. 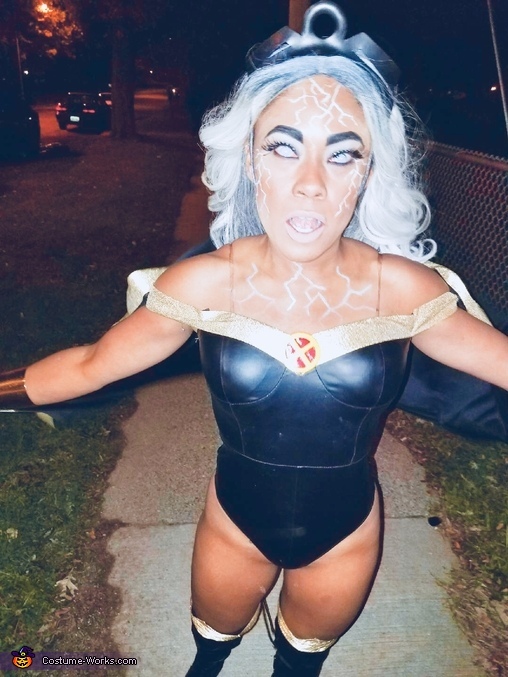 Thw costume is inspired by a comic book version of the X-men character Storm. This costume was handmade by my mother and I. Many different materials were used along with piecing together accessories.